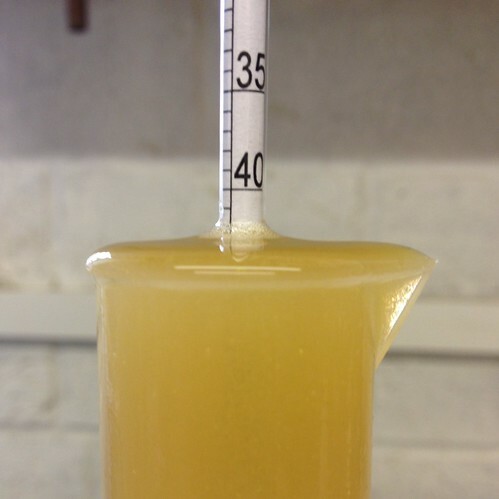 HopZilla IPA – Fingers crossed this is going to be a Double or Imperial IPA, 9.2% heavily bittered and mentally dry hopped, I’m quite happy it not being ready to drink for a while but I think the Dry Hopping might mean I’ll have to drink it pretty fresh so its at its height. 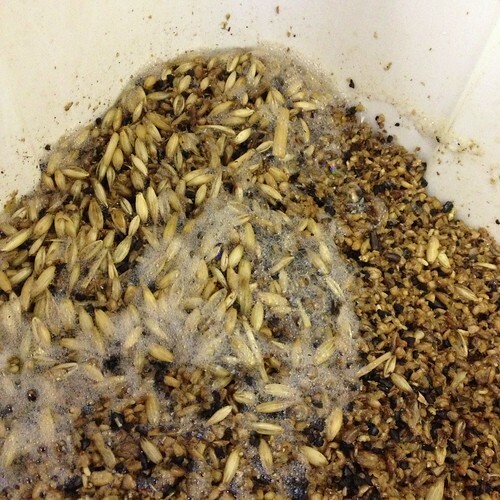 Hopefully I’ll keep some to age too. 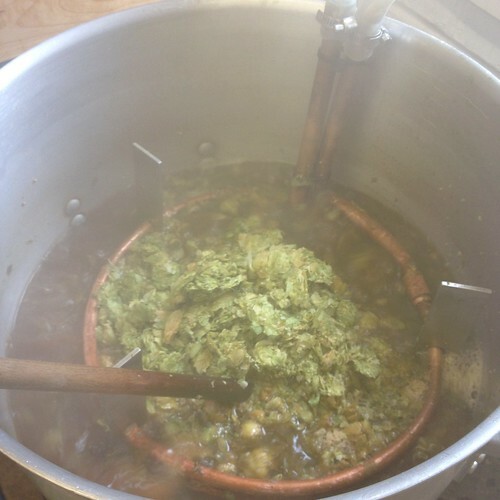 The bittering is mainly from German Perle hops with the late hops being a fairly classic mix of Amarillo & Cascade with Riwaka thrown in too to add some spiciness with it being of Saaz lineage. 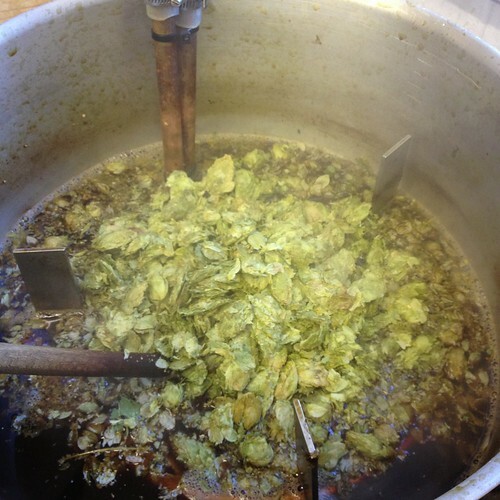 Its the dry hops that I’m not holding back on, I shall split the 200g (thats 11.1g of Hop Pellets per Litre of beer) of pellet hops in two and add to the fermenter at different times, close to or at Final Gravity in the cooling phase. 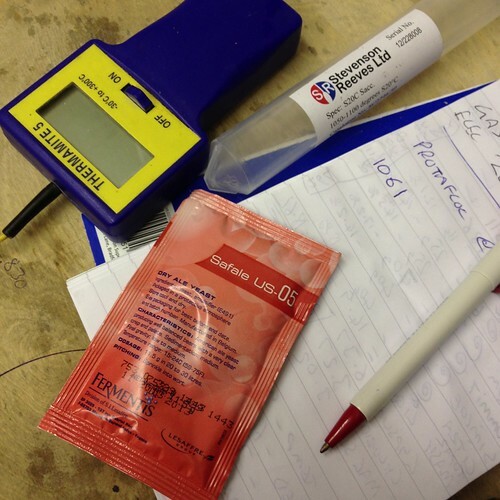 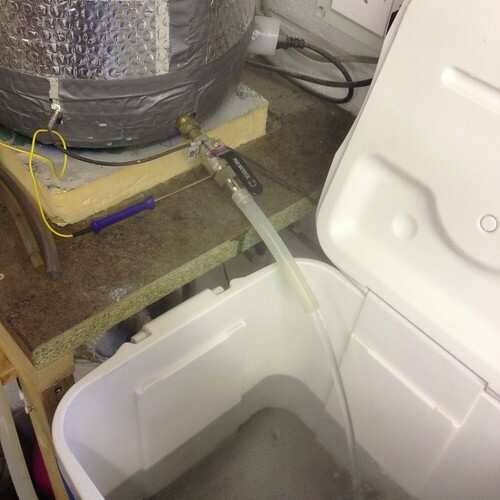 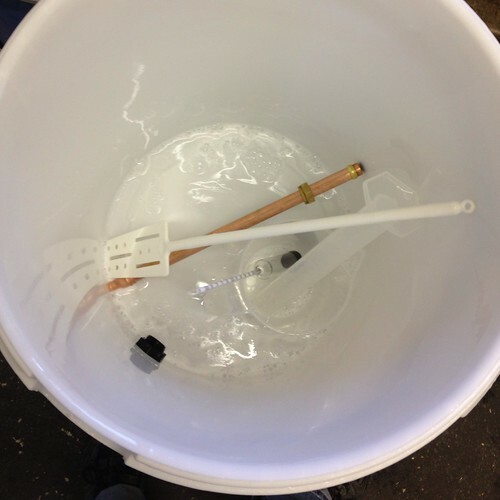 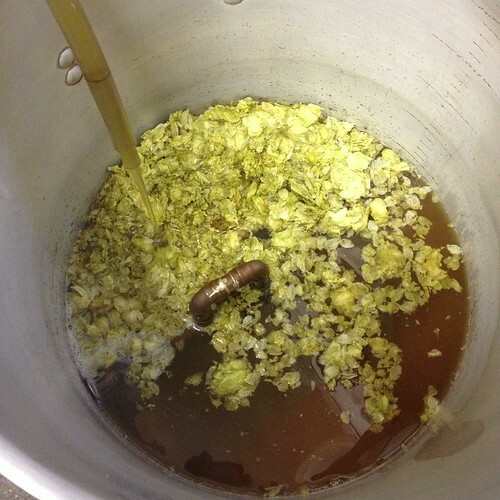 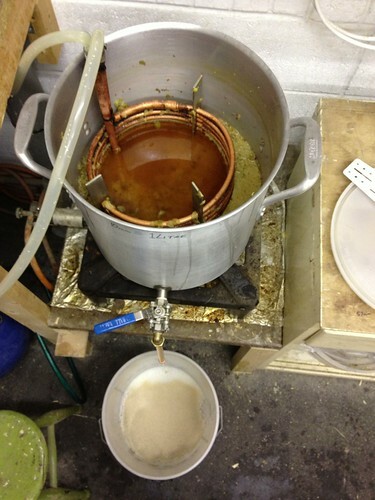 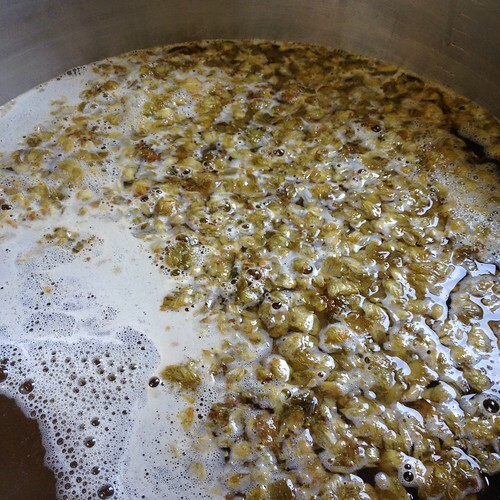 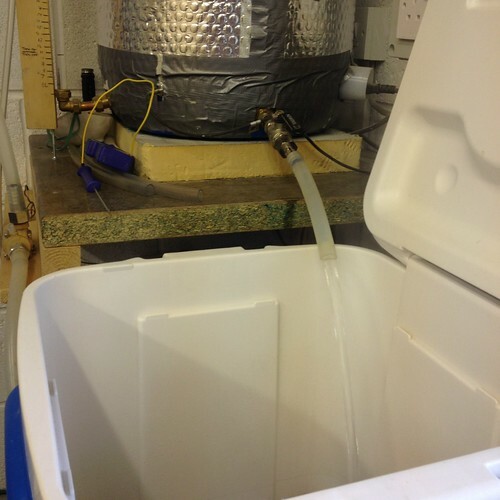 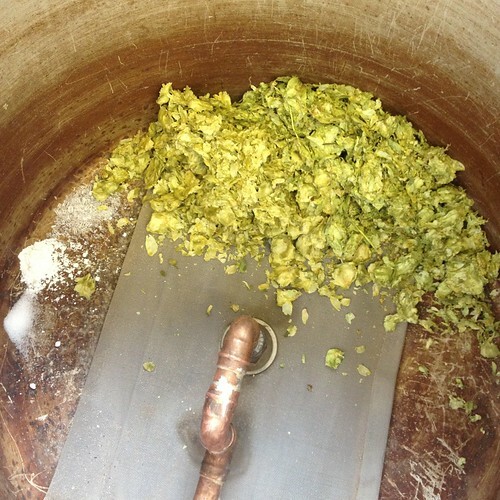 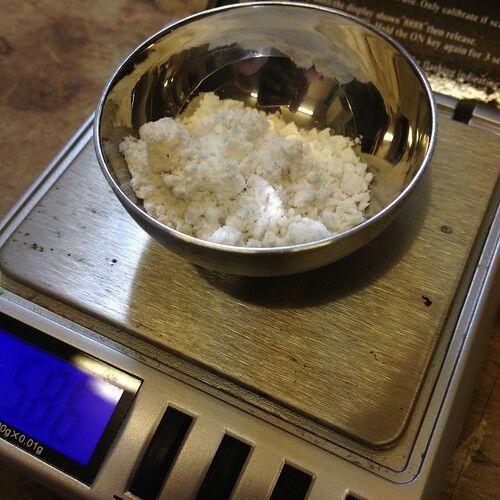 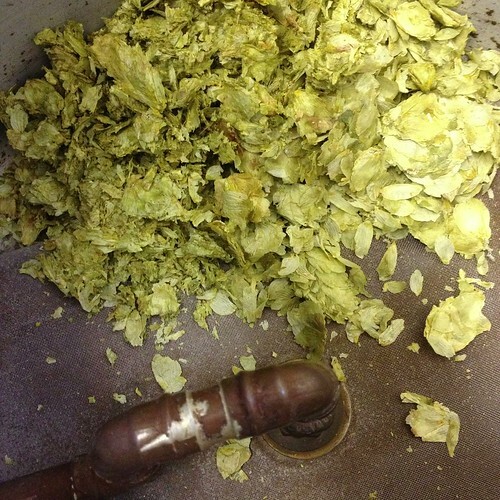 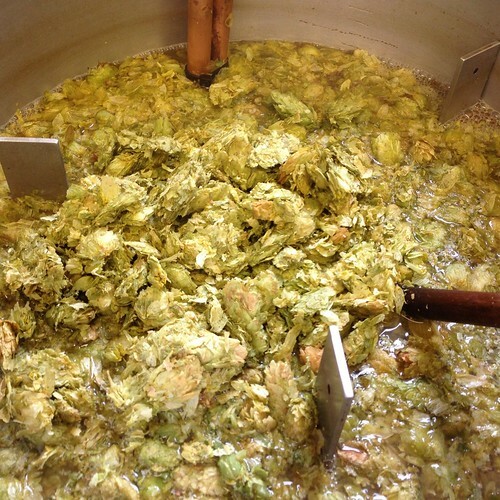 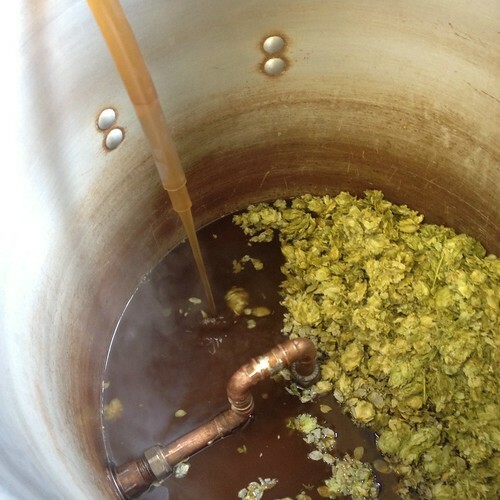 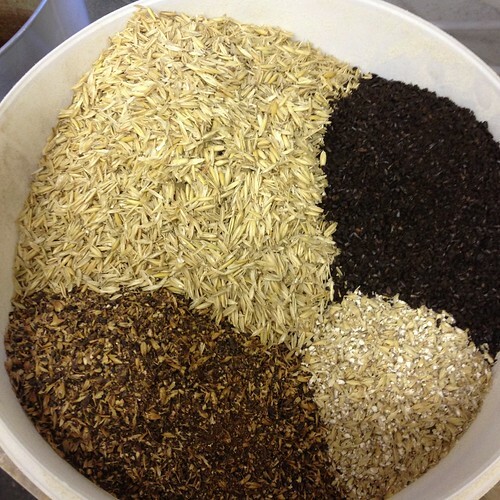 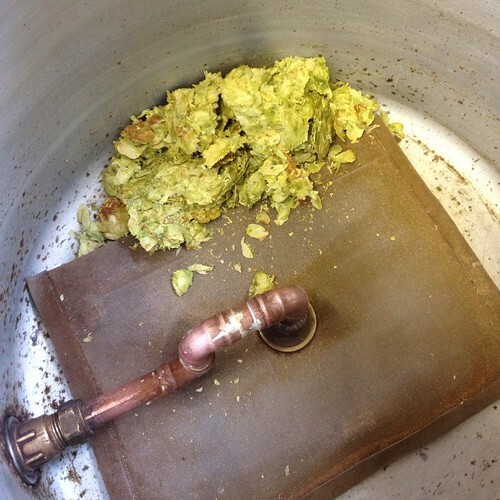 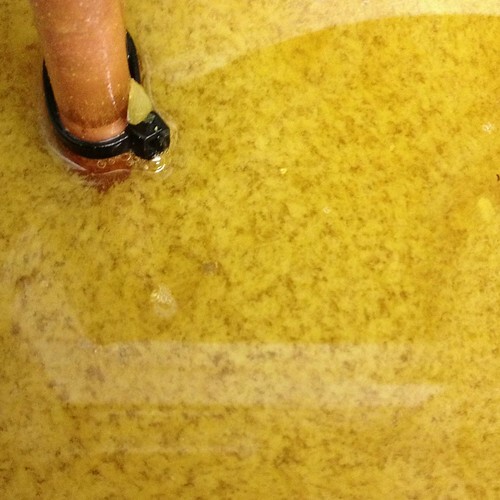 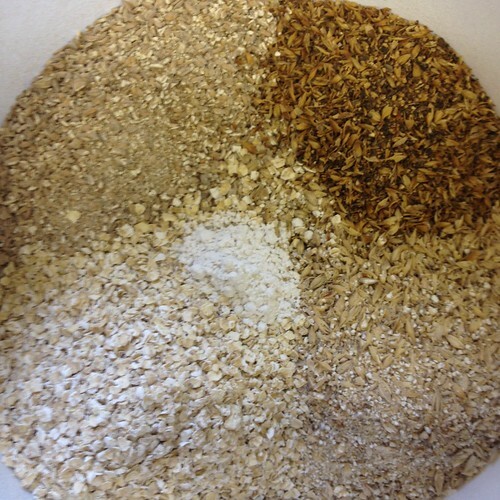 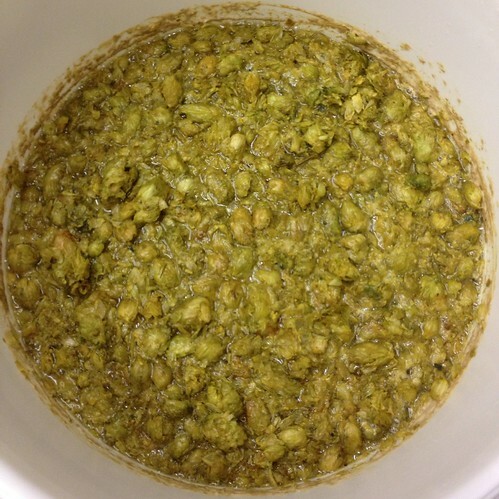 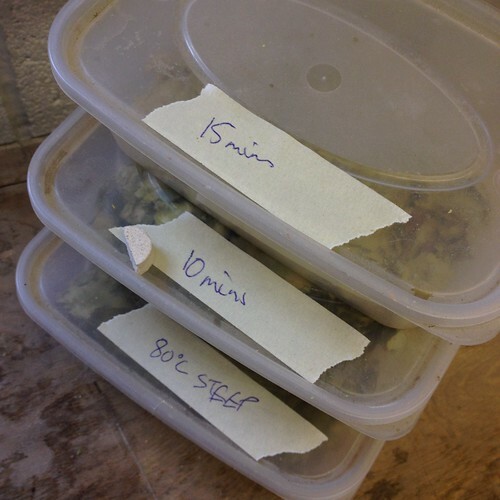 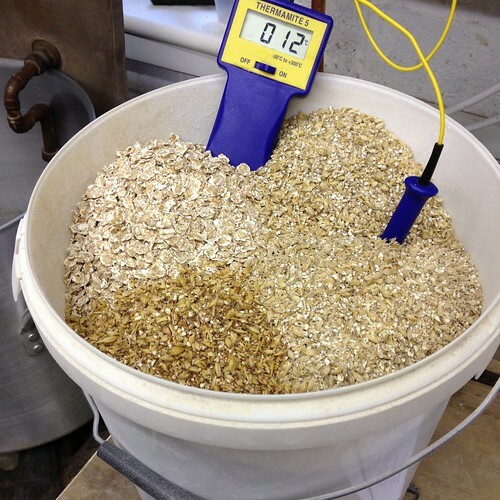 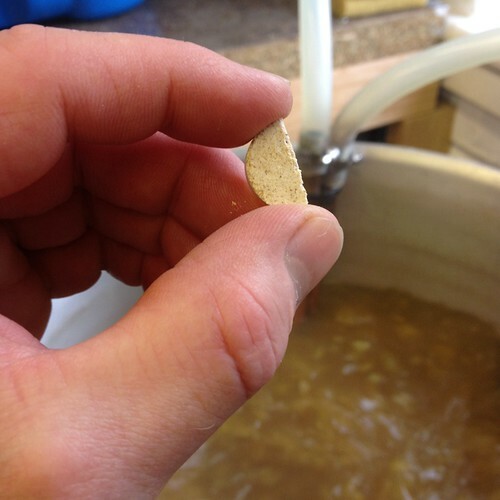 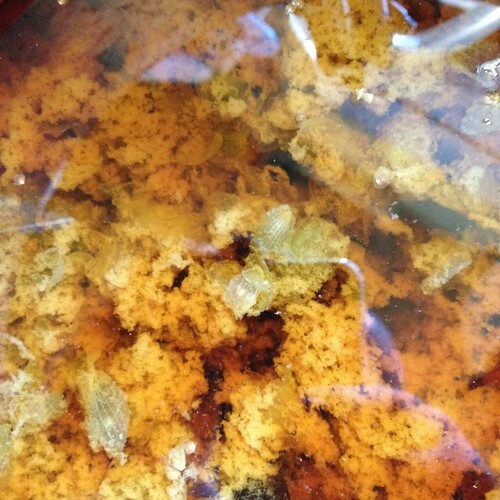 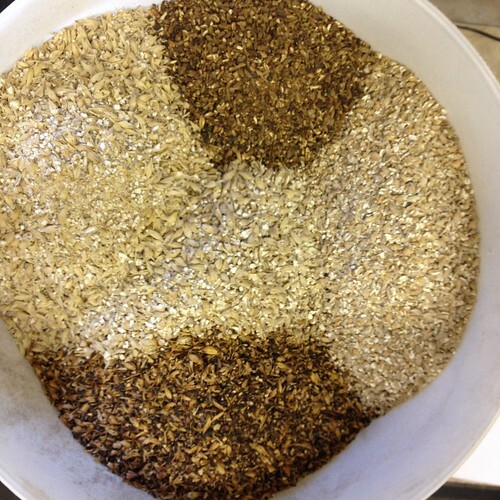 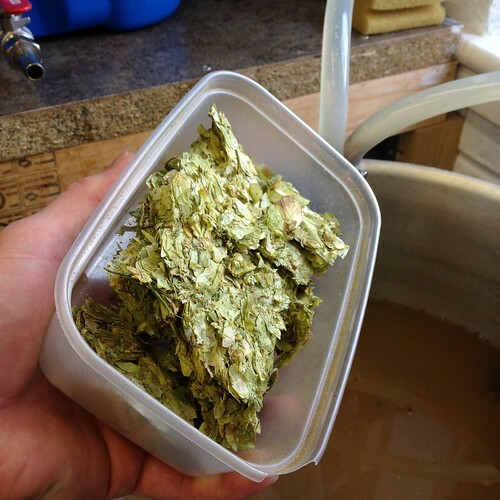 For an excellent guide to Dry Hopping go to Gregs Blog. 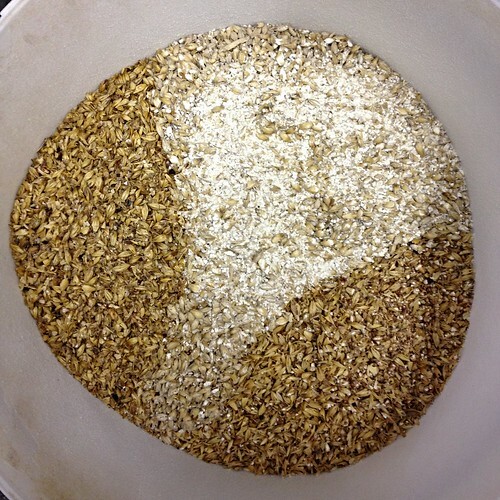 This is the first time I’ve used Belgian Special B malt, I could smell it in the mash and while sparging, I’m hoping it might add something a little different with the Crystal Rye. 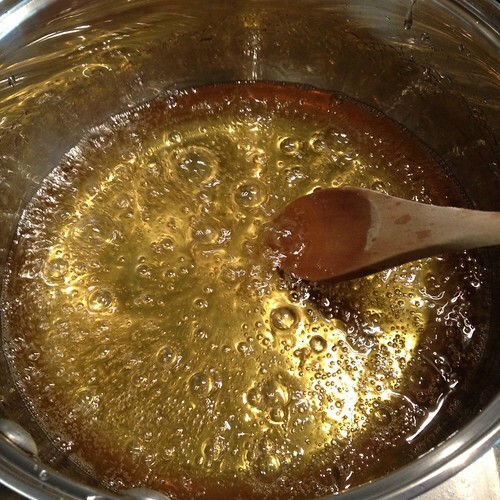 Instead of just throwing a load of White Sugar in the boil I decided to make some Candy Syrup while the Mash was on. 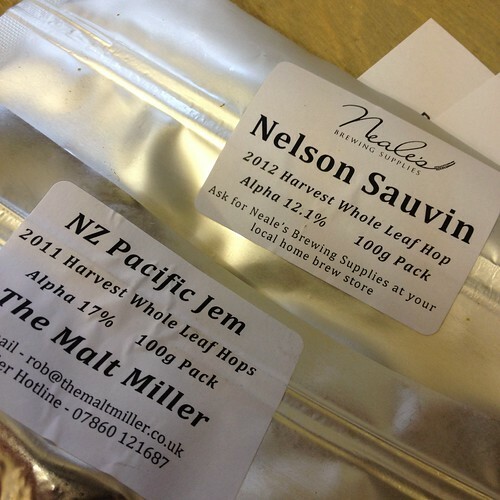 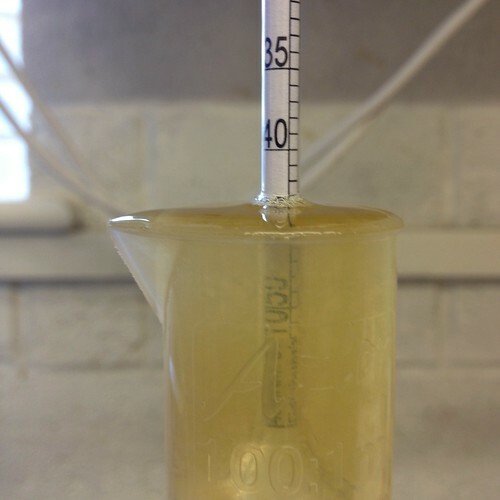 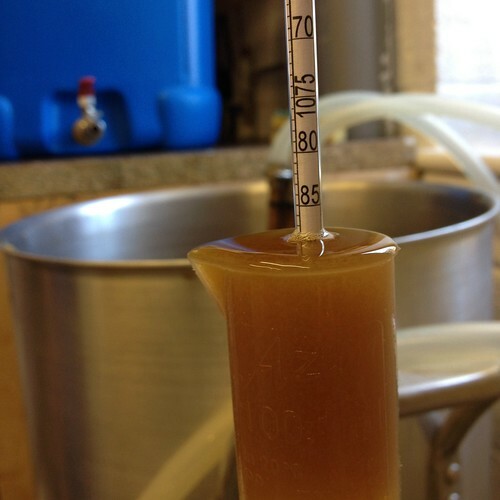 *30th Jul ’12 – Dry hopped with 25g of each pellet hop at current 21.5°c temp. 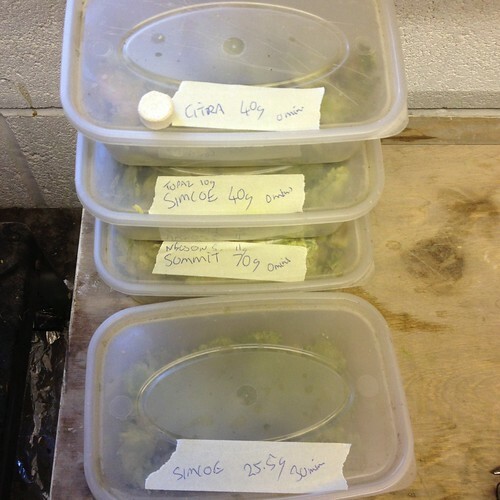 *2nd Aug ’12 – Dry hopped again 25g of each pellet hop at current 21.9°c temp, will lower temp tomorrow to 17°c then 11°c and finally 4°c. 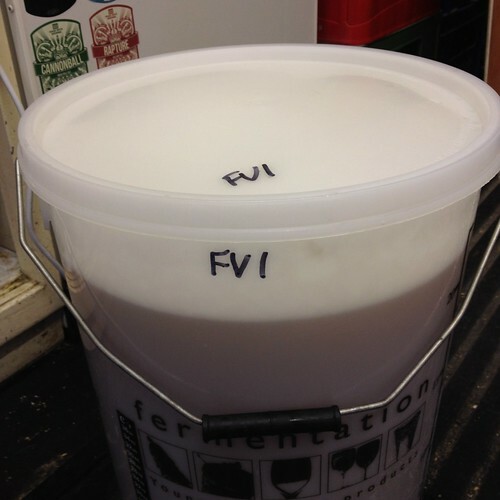 *Bottled 11th Aug ’12 – with 50g White sugar, tastes pretty full on, a couple of weeks in the bottle should see it smooth and mellow a little. 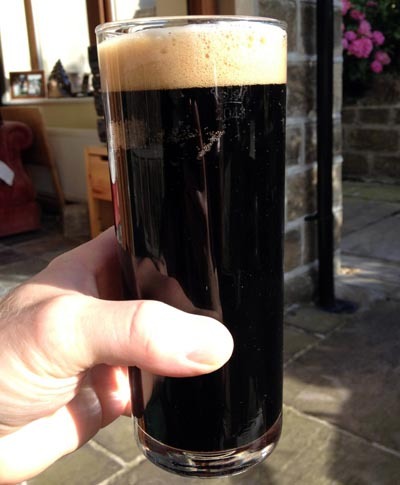 *17th Aug ’12 – Early taster bottle… the flavours in this are very much that which I’ve had in some bought beers and I’m very happy with the hopping flavour and maltiness, it has bags of body, some alcohol on the nose but only the warming in the throat after drinking, a fair amount of sweetness goes with the body. 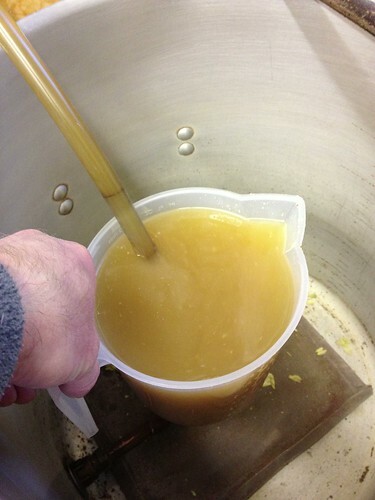 If I were to tweak the recipe I’d throw out the Carapils, Mash a little cooler, increase the bitterness by 10-20 IBU’s (the strength of the wort obviously makes its harder for the hops to be isomerised), I think with a little more carbonation it would lift the sweet body and present the hops better. 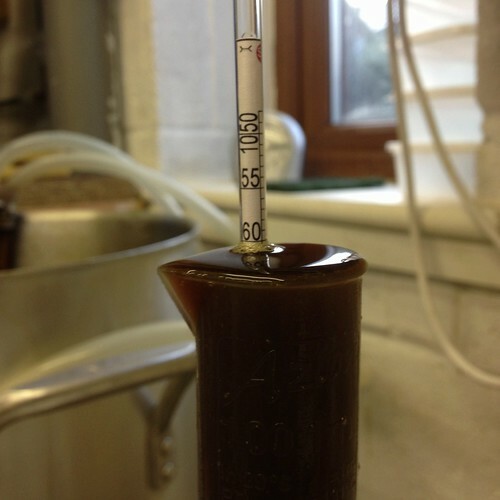 Very close, deserves a re-brew.